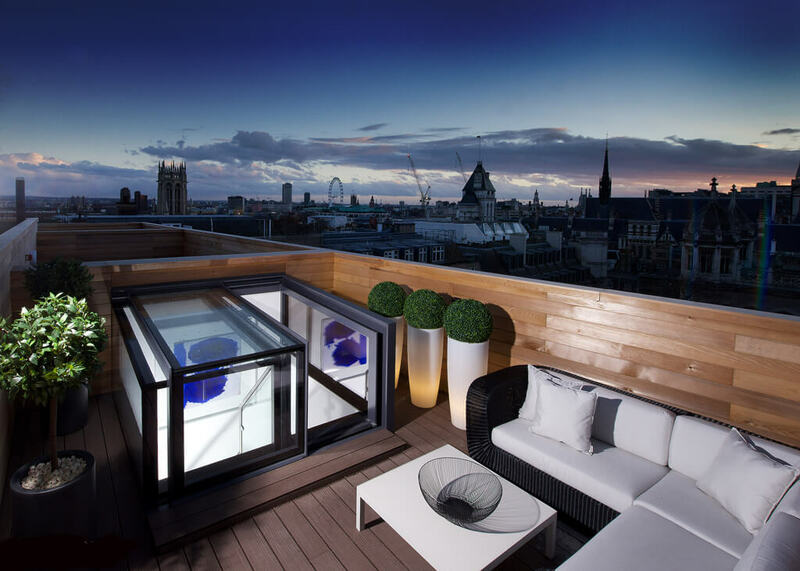 With the Sliding Box, Glazing Vision offers the most luxurious and comfortable access to your roof terrace. 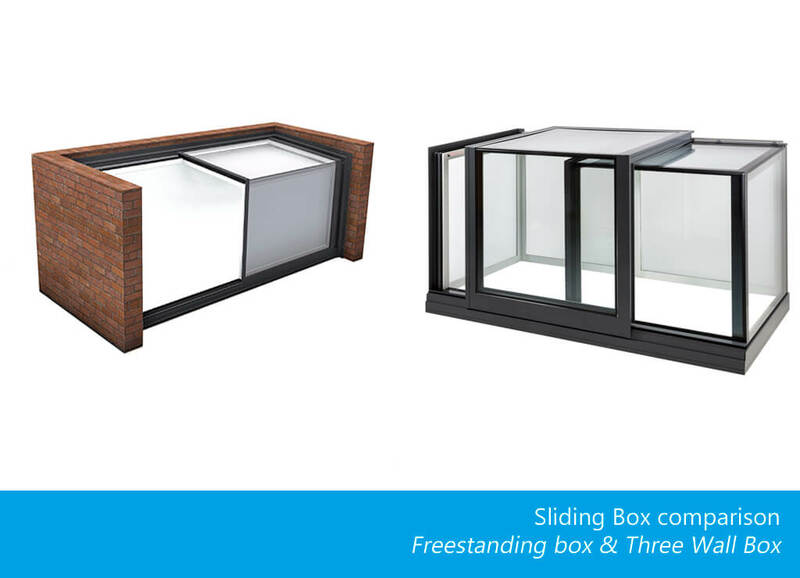 But what makes a Sliding Box different from a roof access hatch and what are the possibilities? In this article we list everything and provide a lot of inspiration by showing different applications of our Sliding Box across the world. First, it is good to know that there are two types of Sliding Boxes: a completely detached, so-called Three Wall Box, entirely out of glass, that is placed between three walls. 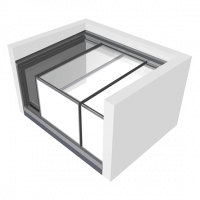 For both types the glass access consists of two parts, a fixed part and a sliding part. The sliding part slides across the fixed part, thus creating an opening of 50% so the user can walk outside through the access. 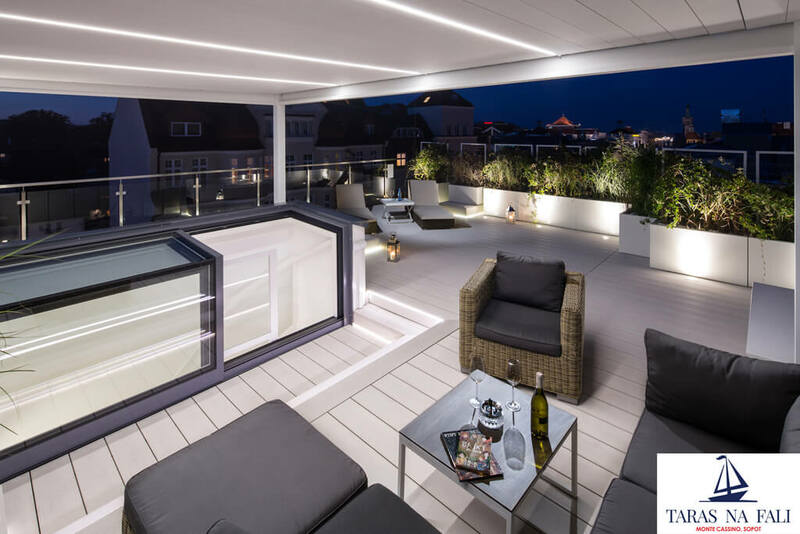 A Sliding Box is the ultimate access to the roof: the minimalistic design is a pleasure to look at, while apart from that, due to its height, the application of the Sliding Box makes comfortable access to any roof terrace possible. In some situations the limited height of rise of the stairs requires you to bend while accessing a roof access hatch. That is not the case for a box that provides sufficient height and where one part slides open across the fixed part. 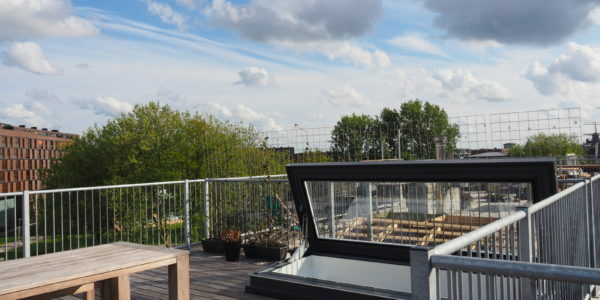 Since the height may vary between 400 and 1,500 mm, this access can be used in urban areas, like IJburg and Amsterdam City Centre, where construction above 1.20 m is not allowed and a roof house is thus not permitted. Easy electrical operation: the box will open at the touch of a button. The box is entirely insulated and watertight. 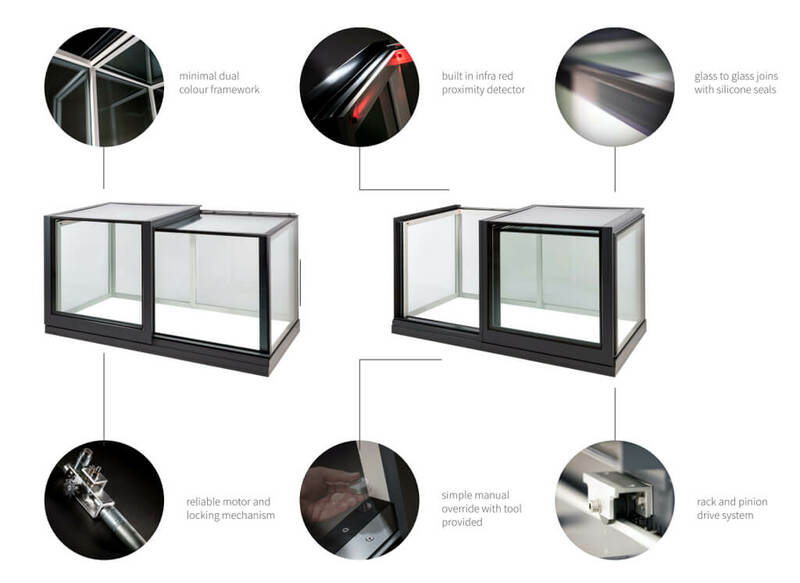 To be designed in double or even triple glass for even better thermal performance. Can also be used for ventilation by opening the box slightly. What sizes of Sliding Box are available? We make the Sliding Box entirely tailor-made and applying our standard production method, we can go up to 6 m2 surface area, for example with a box of 2 times 3 metres, or 1.50 times 4 metres. Table below shows the possible variations in length/width/height. Would you like something larger than 6 m2? We can realise that, by means of a custom-made project. In this case, we have our engineers create entirely custom-made production drawings and it is also possible to, for instance, position the box against one or two walls. 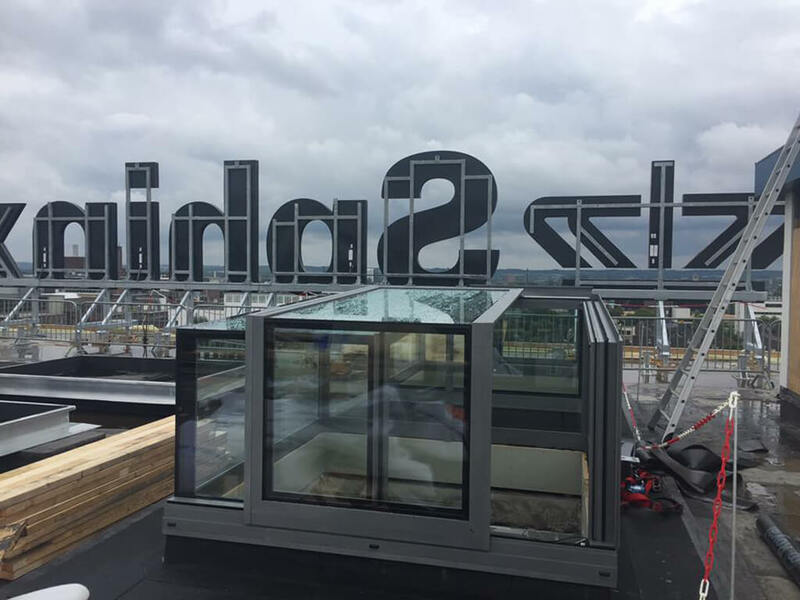 This freestanding sliding roof access at IJburg makes it possible to realise an as large as possible roof terrace, within the licence scope, with a comfortable step. A huge expansion of the living comfort, but also a value increase of the house because of the additional square meterage. The Three Wall Box in France is placed to the side of the roof terrace and offers abundant space. By use of vegetation and wooden panels on one side and a glass fence on the other side, there room for privacy and shading, as well as a great unobstructed view. How safe and durable is a sliding box? When it comes to durability, the box is a winner. Executed in double, or even triple glass, with a special argon-filled cavity and a coating that keeps the heat out during the summer and keeps it in during the winter. The thermally interrupted frame ensures that there is no unnecessary loss of warmth. 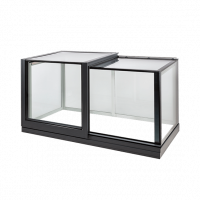 Also the aluminium frame and the glass are durable materials. Aluminium has a long lifespan and can be recycled without deterioration of the quality. The glass is at least HR ++ and in case of triple it is even HR +++. Different functionalities ensure that the Sliding box is extremely safe to use. Due to the construction, firstly it is not necessary to build another fence or partition, which is often desired when placing a roof access hatch. Moreover, it has a built-in motion sensor that signals, for example, if there is a child in the opening, subsequently automatically stopping the closing of the box. Additional special anti-burglary facilities ensure extra safety. What are the costs of a Sliding Box? Since the Sliding Box is tailor-made, there are not standard prices. Would you like a quote for the measurements you require, or consult with one of our specialists about which option is most suitable for you? Then feel free to contact our sales team. How will the Sliding Box be delivered? The Sliding Box will be delivered in one piece and hoisted onto the prepared raised edge by use of a lifting frame. Our certified installation team takes care of the perfect connection to the electricity and manages the settings of the box. The Sliding Box comes standard with a so-called ‘wall-switch’, to be able to open and close of the box at the touch of a button. This can be optionally extended with a key panel that will be attached to the outer wall, to open the box by use of a code. Also a remote control is optionally available. We can even connect the box to the home automation to enable you to operate the roof access with your mobile phone. Using a rain sensor you can make the box close automatically when it starts raining. This is convenient when, on a busy summer day you forget to close the access and it starts raining all of a sudden while you are busy downstairs. In addition to these options there are endless possibilities with glass specifications, such as shading glass and the colour of the frame. Inform us about your wishes and we will sort out the possibilities. Sun-shading, what if I place the box above a bedroom? Would you like to make the roof accessible on top of your bedroom, then it would be nice of the box can also be darkened. We offer a customised solution for this with our Topshade. This ensures additional sun-shading, but is also able to completely darken the box depending on the fabric chosen. Inspiration, the Sliding Box applied in projects across the world. To give you an idea of the possible application, we will show different projects in which the Sliding Box was used. The Eiffel building is a former factory building that is now transformed into a hotel and homes. The lofts on the top floor have been given access to the roof by use of a Freestanding Box. As such, they have the view of their dreams. Who wouldn’t like to look over the Thames and the London Eye? This tailor-made One Wall Box makes it possible and in addition it provides a lot of extra daylight to the floor below. 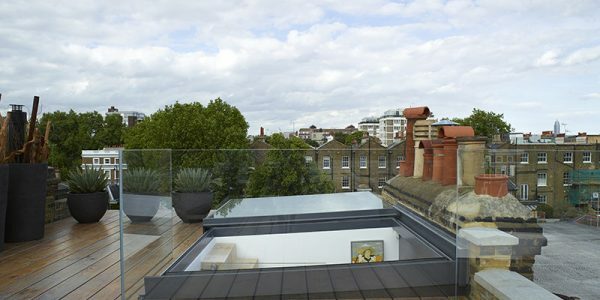 Not only is this box the access to the roof terrace, but it also divides the spacious terrace into different areas. 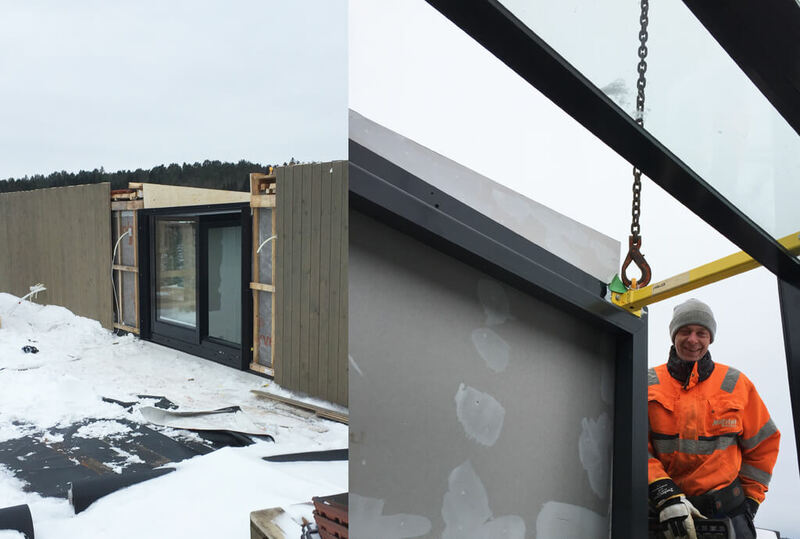 By making the roof accessible, using a Sliding Box, the living space has nearly doubled and the outdoor life on the Polish Riviera is now close at hand. 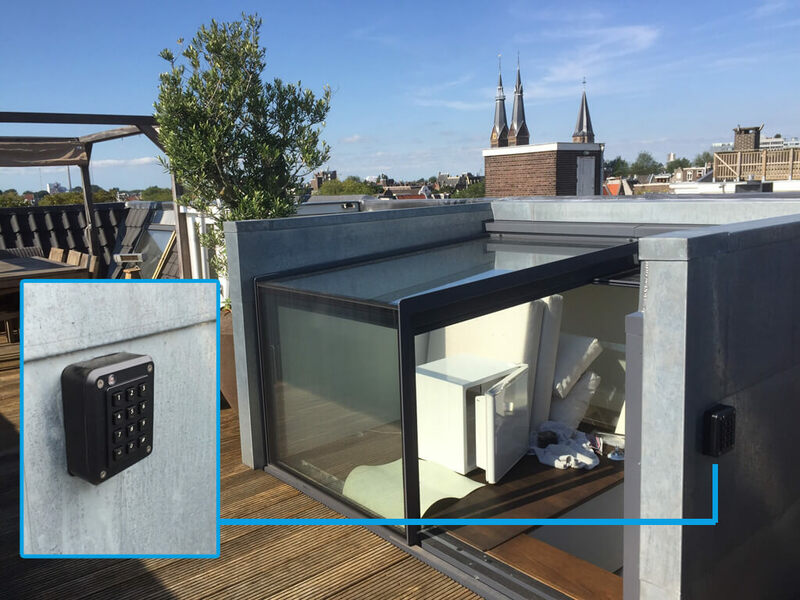 On the Amsterdam canals, in the unique world heritage, this box provides access to the concealed roof terrace. 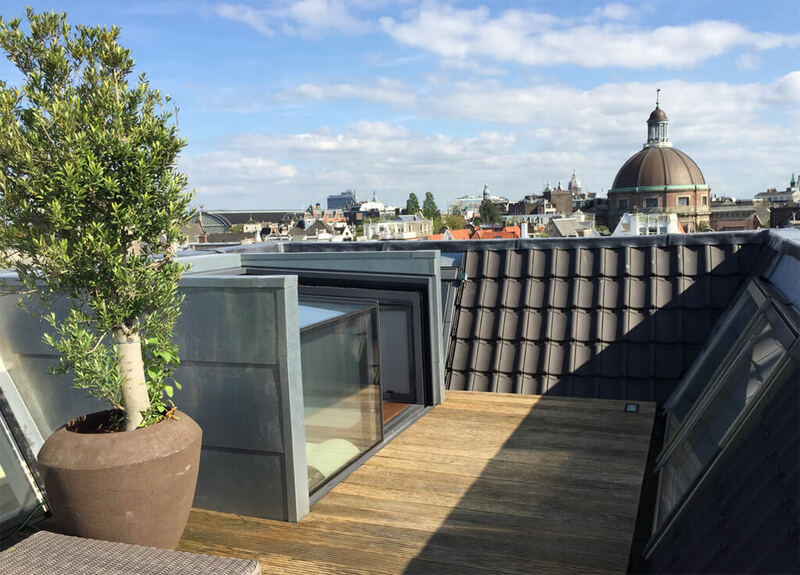 Tranquillity and outdoor air, right in the middle of Amsterdam City Centre. In order to be able to fulfil the obligations that renovation requires in a monumental part of Jersey City, the architects needed to be creative. The Sliding Box formed the solution. 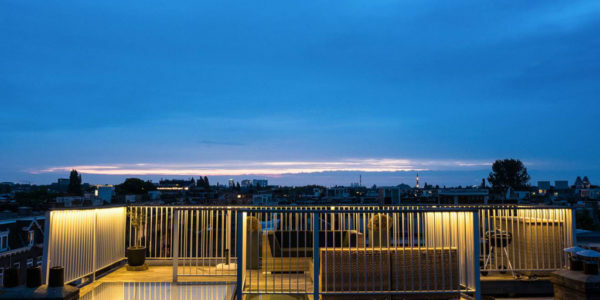 Strategically located against the home-separating wall, this Three Wall Box at Weesperzijde provides optimal access to the spacious roof terrace. An enormous value increase of this house. This roof terrace completely blends in with the dune area of the popular island of Martha’s Vinyard in Massachusetts. 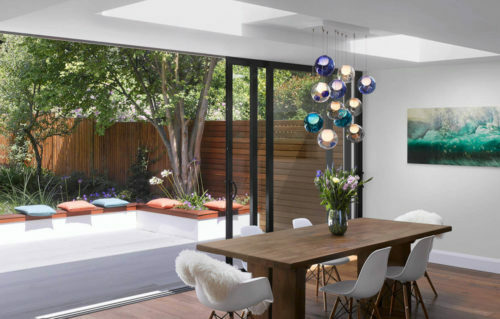 The abundance of glass allows this house to become entirely one with nature.